← Here’s what I got from Lidia! Another dish featured at my 24×24 party was this one, which represented “Extremely Loud and Incredibly Close”, a movie that I’m pretty sure would have me bawling about 10 minutes in. The star of the film is a boy who lost his father in the World Trade Center on 9/11. Enough said. Through my research on the film I found that he drank a lot of juice, so, I thought I’d incorporate that into whatever dish I chose. These wings were perfect since they were a finger food, like many of the others…and how could you possibly go wrong with wings in the first place anyway? These are a big crowd pleaser and honestly, my 3 year old daughter could throw these together. Easy is an understatement. Yum! Combine all ingredients, making sure wings are completely coated. Marinate overnight. Preheat oven to 350 degrees. 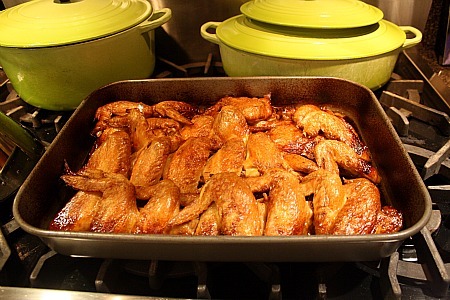 Place wings and juice in baking dish and bake for about 60 minutes. 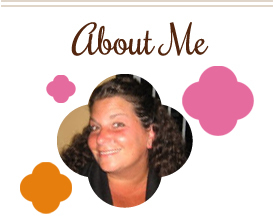 This entry was posted in 24x24, appetizers, chicken, main dishes. Bookmark the permalink.